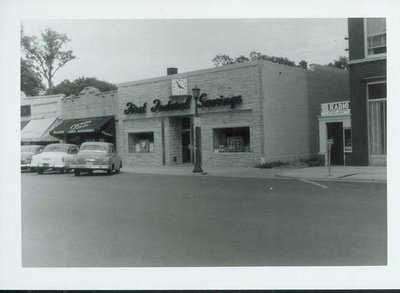 Do you know where on Wilmette Ave. this building was located? Thanks to Bob LeBailley who answered this question for us. See his reply in the comments tab. Formerly located at 1149 Wilmette Ave, Wilmette, IL. This photograph was published in the book Wilmette and the Suburban Whirl by Herbert B. Mulford in 1956.